Hello everyone this is Gigaster and this is my android game of the week. Crossy Road is a fun casual game published by Yoda1 Games. 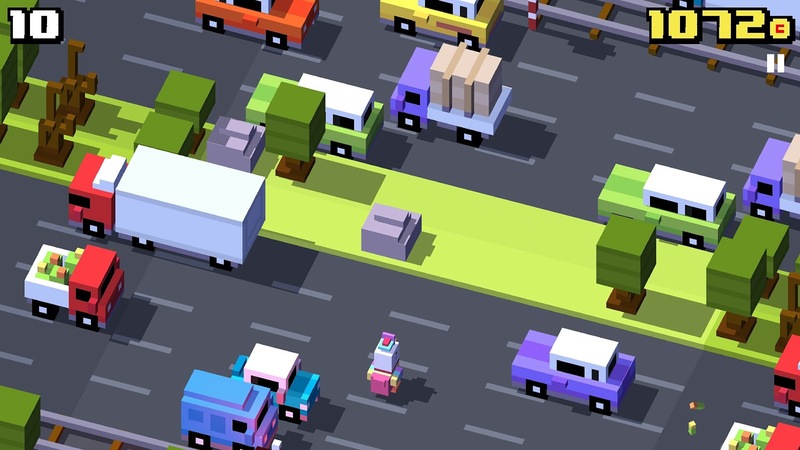 The gameplay is similar to Frogger where you need to cross the street endlessly and avoid being hit by passing vehicles. The controls are simple and easy all you have to do is tap the screen to move forward or swipe the screen left, right or backward. 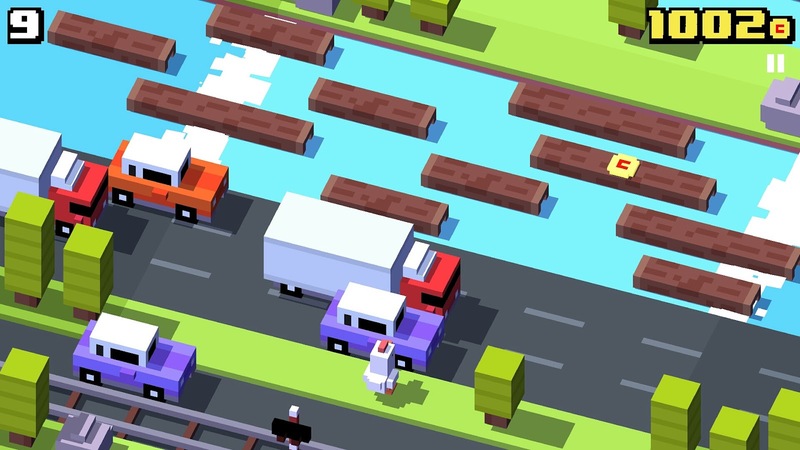 The graphics of the game is similar to minecraft but more colorful. Dying in the game is not gory even though you get eaten by a crocodile or getting hit by a truck. You start the game with a Chicken or a Seoul Chicken (Korean Chicken) but as you progress you can unlock more characters. You can unlock characters by clicking the win prize button when you die in the game. The currency used in the game gold ad you need to earn it to unlock characters. There are 3 ways to earn gold first in the game you can there are gold scattered in the street you can hop on it to get it. Second there are tasks every six hours to complete. Third you wait 6 hours to earn your free gold. All in all this game is entertaining and funny in some ways. I wish you could try this game this is free in Goggle Playstore.